Daedalus Park is off Broom Way, within the perimeter of Solent Airport. 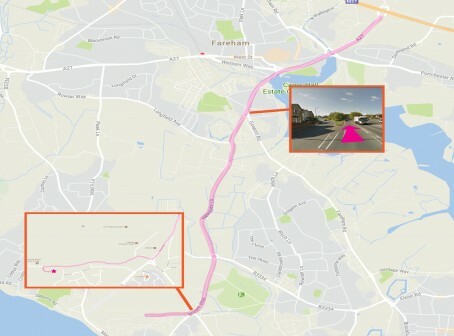 Take junction 11 off M27 and take Fareham exit off the roundabout onto the A27 towards Fareham. Keep in the middle lane until you come the the roundabout. Bear left at the roundabout and join the A32 by going under the brick railway arches. Go straight across the next roundabout. Get into the right hand lane and stay in that lane following the signs for Lee on Solent. You will pass McDonalds on the left, keep going until you come to a large roundabout. Keep following the signs for Lee on Solent (straight over the roundabout). You will see the new grey CEMAST COLLEGE building on the right at the traffic lights, turn right and follow the road onto the airfield – do not turn into the College Parking. We are located in Block C on your left as you drive down the road towards the Control Tower.